Gaya is popularly known as Pilgrim city in the Indian state of Bihar. Many tourists come here to visit the famous temple Bodh Gaya. There are other attractions as well. As a result, there is a good flow of vehicles. Gaya RTO is established under the provision of Motor Vehicle Act of 1988. It assists in regulating transportation rules and providing mandatory documents to the Individual. Gaya RTO is also responsible for collecting the Road Tax, granting road permits and conducting driving trainings. All its functions has been elaborated below. 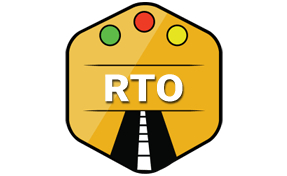 Gaya RTO performs all the essential functions required to keep transportation in control. All of its major functions are as follows. All the above tasks are subject to the verification of documents. These documents are submitted by Vehicle owners. Some of the mandatory documents that we need for driving are Driving License, Vehicle Registration Copy, No Objection Certificate etc. All vehicle owners must have Vehicle registration copy. No Objection certificate is required if we shift our car or bike to another state. Driving License is mandatory for driving any vehicle. We can get proper license only after 18 years of age. We may get license for light vehicles like scooties etc at 16 years as well. But it can be received only after approval of parents. If you are residing in Gaya than you might need to visit its RTO for any of the reason as mentioned above. Details of its RTO is mentioned below. Regional Transport Office, Gaya Collectorate, Gaya, Bihar - 823001.